The new Cub Cadet XR1 500 robotic mower is ideal for anyone owning a smaller lawn of up to 500 m2 and is looking for a compact yet high-performance mower. Driven by a 12V/8.8 Ah lithium-ion battery and a 100-watt engine, the optimized mowing and drive engines combined with the sure-grip spiked wheels achieve a high area performance. So only 3 hours of mowing are required per day for 500 m2 of lawn. Which means the lawn is available to you 21 hours a day. RoboConnect let's you conveniently operate, program and monitor your XR1 500 from a distance. As soon as a cellular network is available, it automatically connects via an integrated GSM module, which is equipped with a built in sim card, that includes a 36-month data plan. Place the base station near the edge of the lawn area to be mowed so that you can use the entire area as soon as your mowing robot is finished. A garage for your XR1 500: installed above the charging station, the device keeps the mower clean and protects it from rain and direct sunlight. This ensures the XR1 500 manages any terrain and mows with extreme precision. 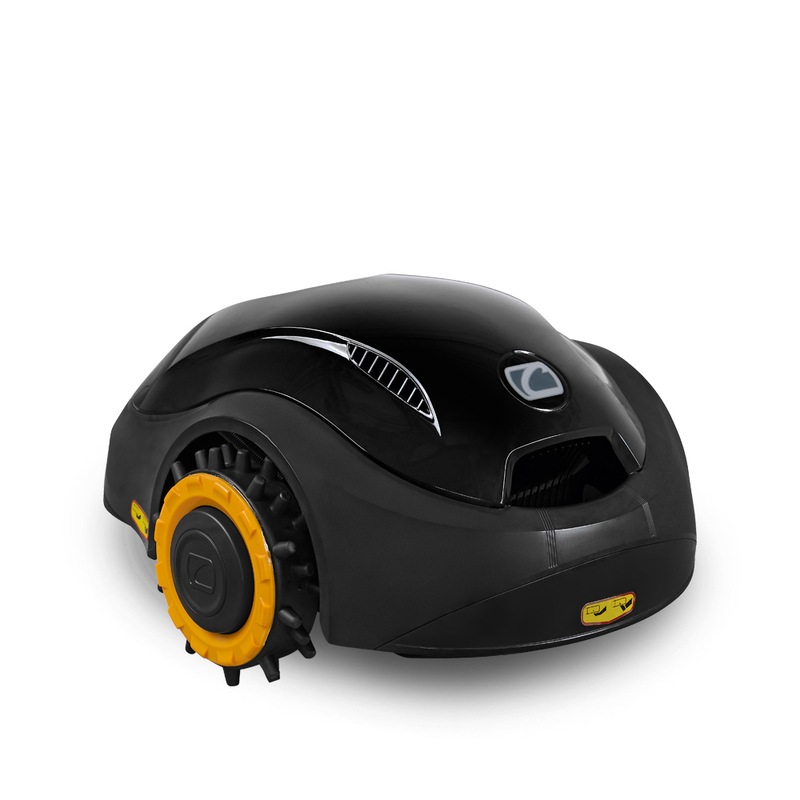 A proprietary solution from Cub Cadet, our unique patented mulch cleaner independently cleans the mowing deck. It automatically cleans the clippings out of the mowing deck while mowing, improving performance and reducing maintenance. The ridged special wheels impress with a strong grip. That provides better manoeuvrability, even on wet grass. Extremely sturdy mower engine with powerful 100-watt output. You can look forward to a long service life and a minimum of maintenance. Ski-type metal running surfaces deliver maximum manoeuvrability. That means easy mowing even in tight spaces. The XR1 500 is powered by a modern lithium-ion battery and mows for 3 hours without recharging. This means you can spend more time on your lawn.